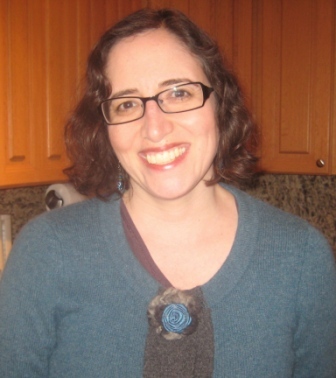 Recently, I wrote a post about gluten-free oat matzo for Passover. Fortunately, there’s also a different kind of gluten-free matzo on the block. 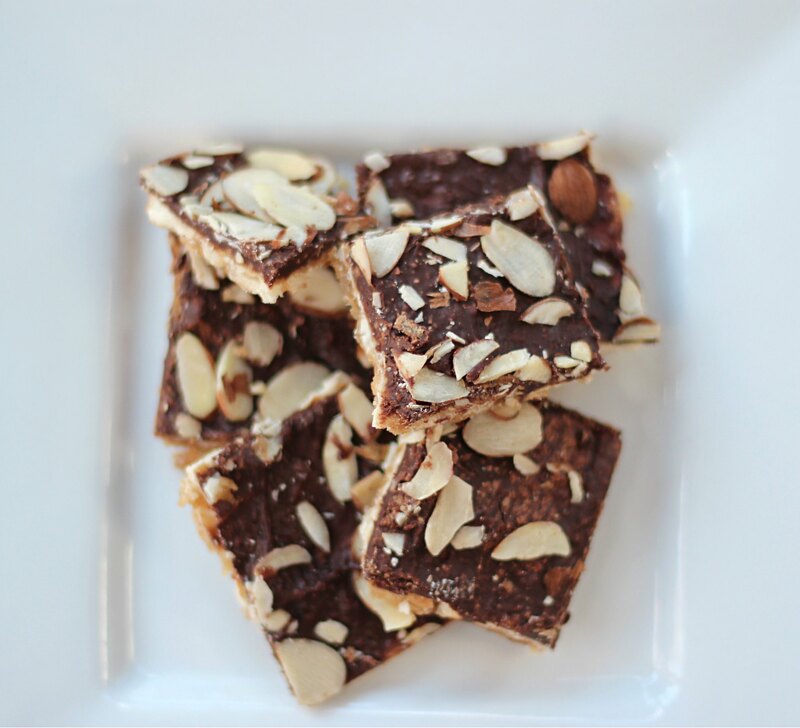 These gluten-free “matzo-style squares” are matzo alternatives that taste better than regular wheat matzo or gluten-free oat matzo. With a crisp, cracker consistency, these gluten-free matzos are good enough to be eaten year-round (really!). Now, these matzos don’t technically meet the seder requirements of matzo — that’s why you’ll notice a disclaimer on the box that says “not a replacement for seder matzo” or “not for sacramental purposes.” At the seder the Hamotzi blessing is supposed to be said over matzo made from one of five grains: wheat, rye, barley, spelt and oats. 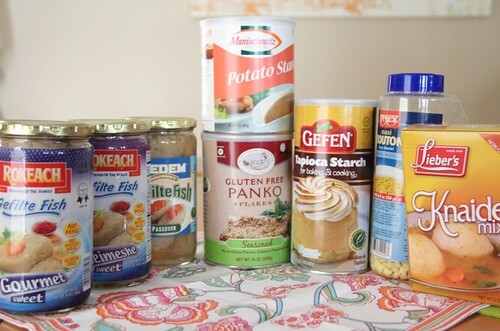 That’s why some people turn to gluten-free oat matzo, though the oat matzo tastes like cardboard and is much more expensive, because of the supervision involved in ensuring that it’s both gluten-free and kosher for Passover. 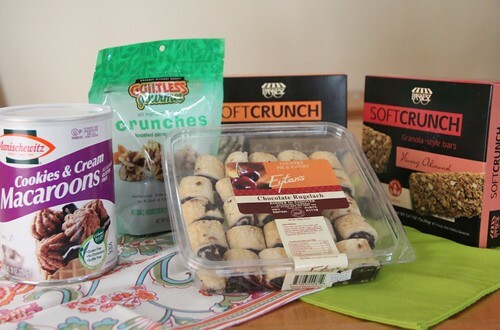 The Manischewitz and Yehuda gluten-free matzo-style squares are very similar — with a crisp, flatbread consistency. Manischewitz is cheaper, which is always a plus, though I like Yehuda’s flavor slightly better. Both are certified gluten-free, and both do not contain oats (doctors now say that most celiacs can tolerate pure, uncontaminated gluten-free oats, but some celiacs still have reactions from oats). 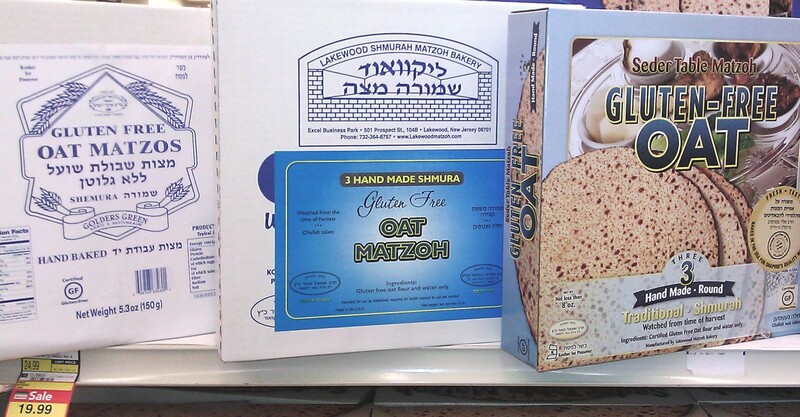 Yehuda and Manischewitz also make smaller gluten-free matzo crackers, too. Last year, Yehuda added a toasted onion flavor, and this year adds a fiber-enriched version. The fiber-enriched version has 3 grams of dietary fiber, compared to 1.2 grams in the regular matzo squares. 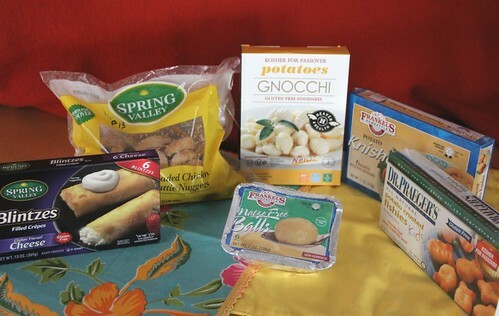 The additional fiber comes in the form of “apple fiber” and “plant fiber.” The fiber-enriched version is dry, though. If you want fiber, you’d probably be better off eating a fresh apple, which has 4 grams of fiber, instead of eating apple fiber in your matzo. Depending on where you live, these matzos can be hard to find. I’ve found them at a local Jewel that has a good kosher selection. Some Whole Foods stores (at least in Chicago) carry the Yehuda Gluten-Free Matzo-Style Squares, too. You can also order them online, or ask if your local grocery store can order them for you. Saying something “tastes better than matzo” is not normally the strongest compliment. After all, matzo is somewhat dry and tasteless. 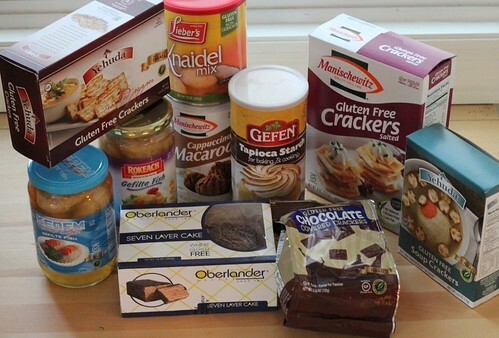 But when a gluten-free product tastes better than the real deal, it’s cause for celebration. 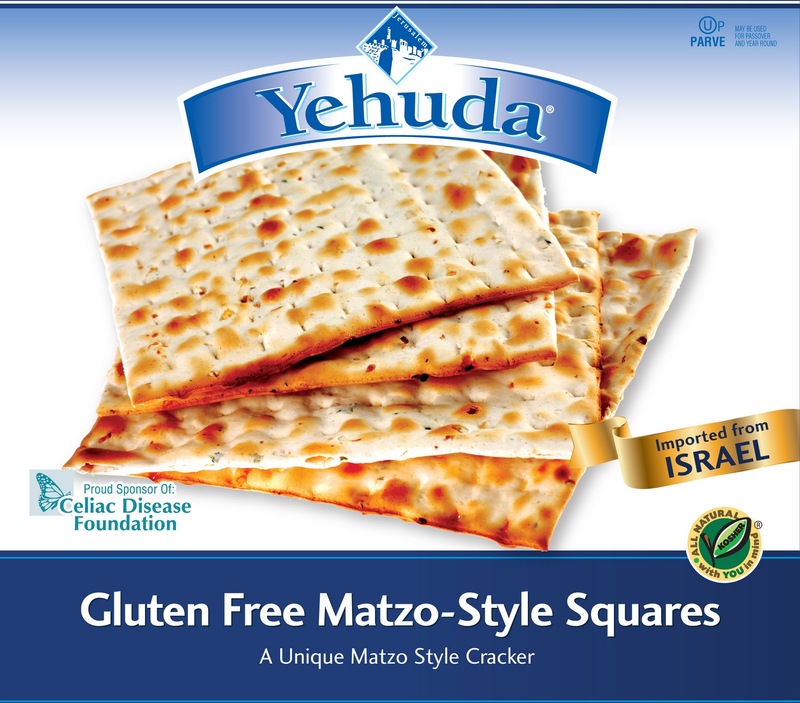 New this year, Yehuda Gluten-Free Matzo-Style Squares have a lighter, more tender taste that traditional matzo. With a hint of salt, they taste similar to a thin, flaky flatbread or cracker. We opened a box so we could taste the product, and since then my kids have been begging for more. Seriously. And it’s not even Passover yet. 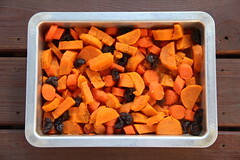 During the eight-day holiday of Passover, we do not eat grains that can ferment and become leavened. Interestingly, those grains are wheat, rye, barley, oats and spelt — the same glulten-containing grains that people with celiac disease must not eat. However, in another twist, matzo must be made from one of those five grains, though the flour must come into contact with water for less than 18 minutes so it doesn’t rise. For the past few years, we’ve bought gluten-free oat matzo. It was expensive ($25 to $35 a box) and tasted only slightly better than the actual box. 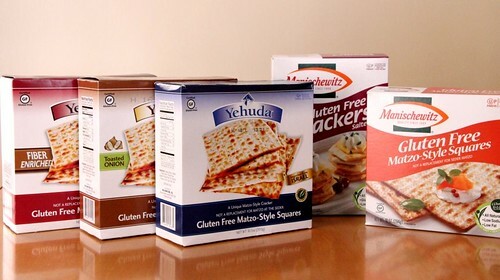 The new Gluten-Free Matzo-Style Squares aren’t halachically (according to Jewish law) a replacement for matzo at the seder, since they are made from potato starch and tapioca starch, instead of wheat or oats. That’s why they are called “matzo style” instead of just “matzo.” But they taste better than gluten-free oat matzo and, at $5 to $7 a box, they are priced better too. I can’t find a link to buy the Gluten-Free Matzo-Style Squares online, but I bought them at a Chicago-area Jewel-Osco that carries kosher food. Happy Passover!